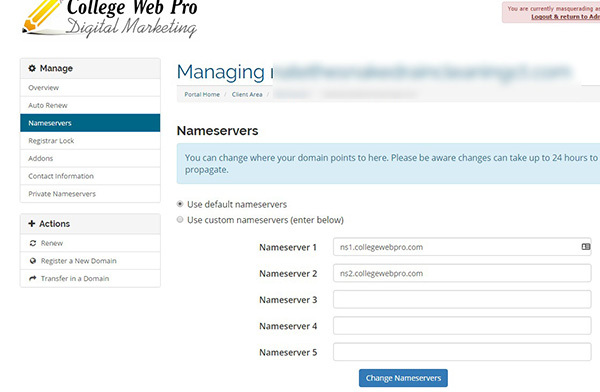 This tutorial will show you how to change the nameservers associated with your College Web Pro domain name. 1. 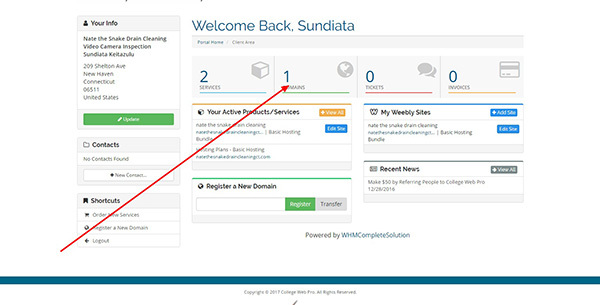 Login to your Client Area by going to CollegeWebPro.com and click on "Client Login". 2. 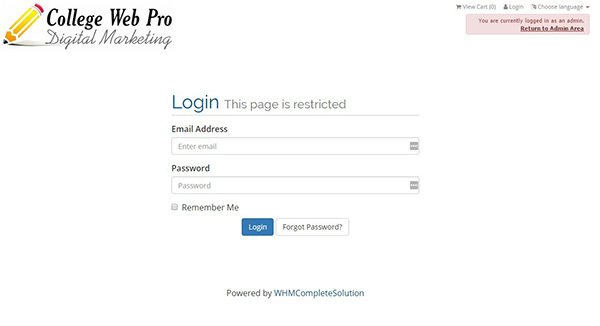 Login to your client area using the password you chose when you first registered. If you forget it you can reset your password with your e-mail. 3. After logging in, click on the box that says "DOMAINS" with the icon of the globe. 4. 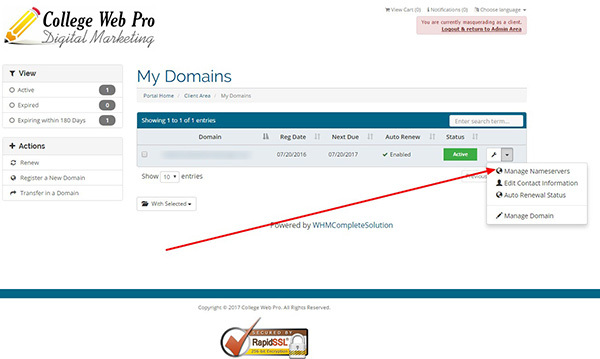 Click the little arrow next to the domain and then click on "CHANGE NAMESERVERS". 5. Erase the current nameservers and put in the new ones. When you're done, click the blue button that says "Change Nameservers" at the bottom of the page.